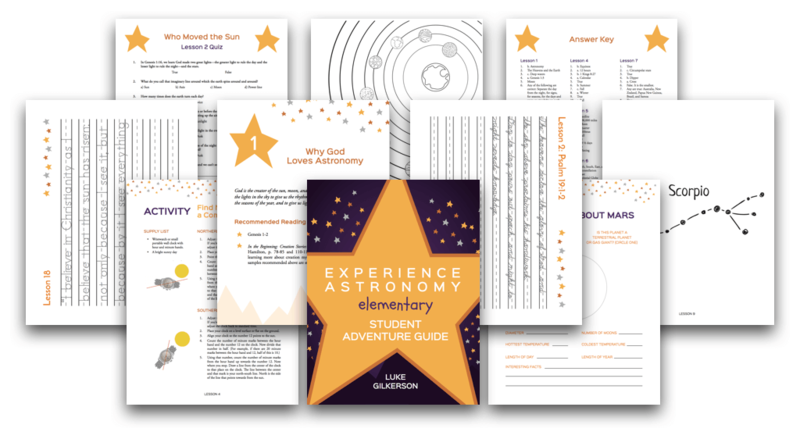 Astronomy should be an adventure—and that’s the goal of this “adventure guide”: to give elementary age students a taste of the exciting ideas astronomy explores. 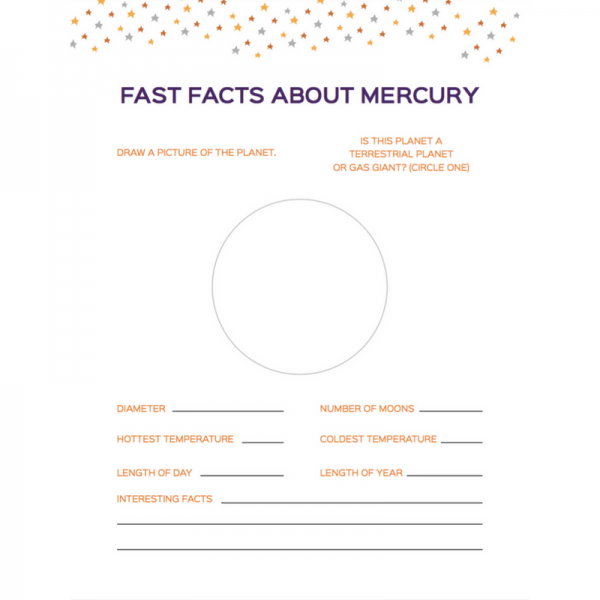 Digital versions of all these materials are provided to students who register for the the Elementary Experience Astronomy course (not used with the Upper Level courses), but students can purchase a softcover copy here (228 page full-color, spiral-bound book). In the elementary years, students can still “go deep” in the study of astronomy, and this Student Adventure Guide gives children many opportunities to explore astronomy firsthand. This workbook is designed for students ages 6 to 11, but younger students who aren’t yet proficient readers may need help reading all materials. 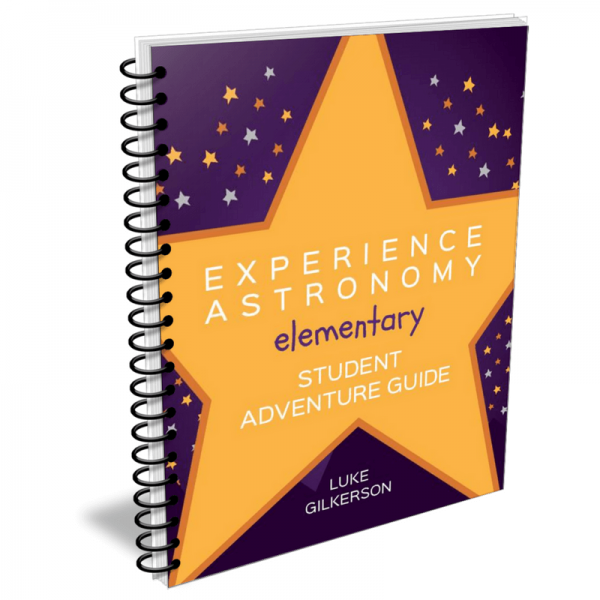 The Student Adventure Guide is designed as a companion to the Experience Astronomy Elementary online course. The Adventure Guide is not a textbook—it does not “teach” astronomy but rather offers students hands-on learning experiences. 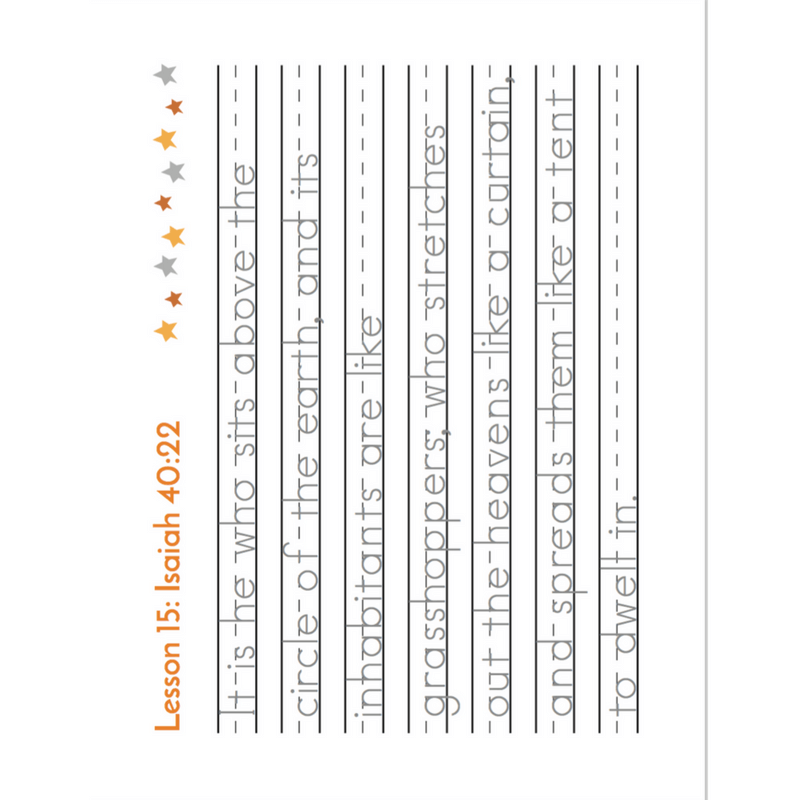 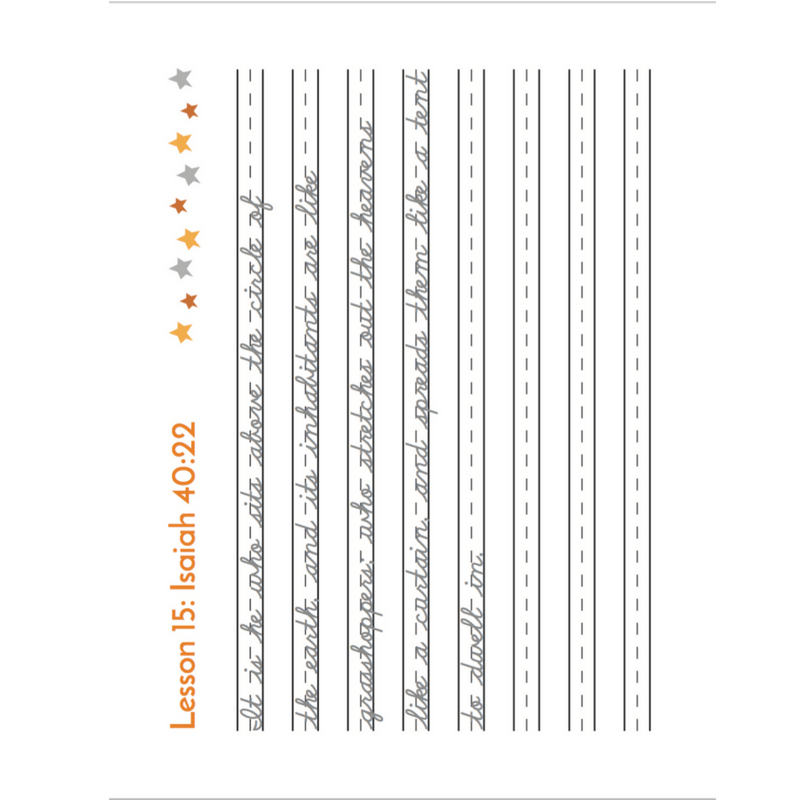 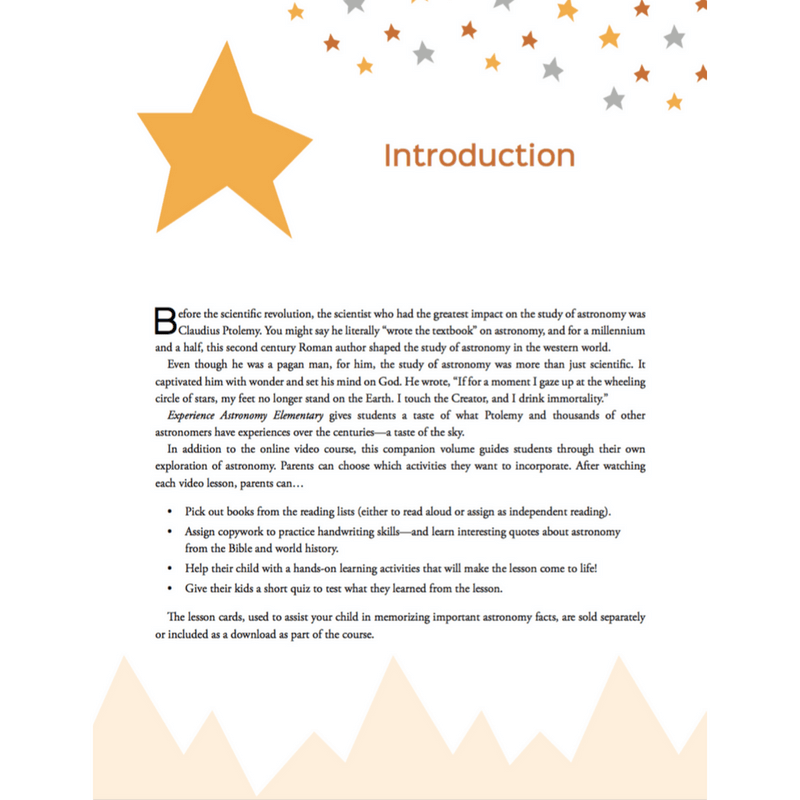 Quiz pages reflect material taught in the online lessons of the Elementary course. 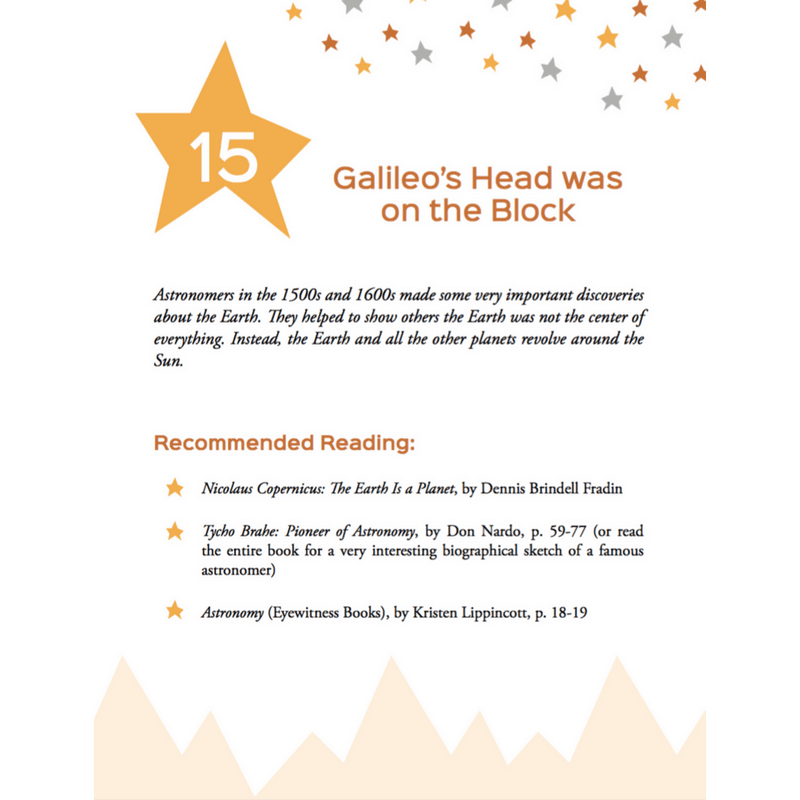 Reading lists reflect a wide variety of reading levels. 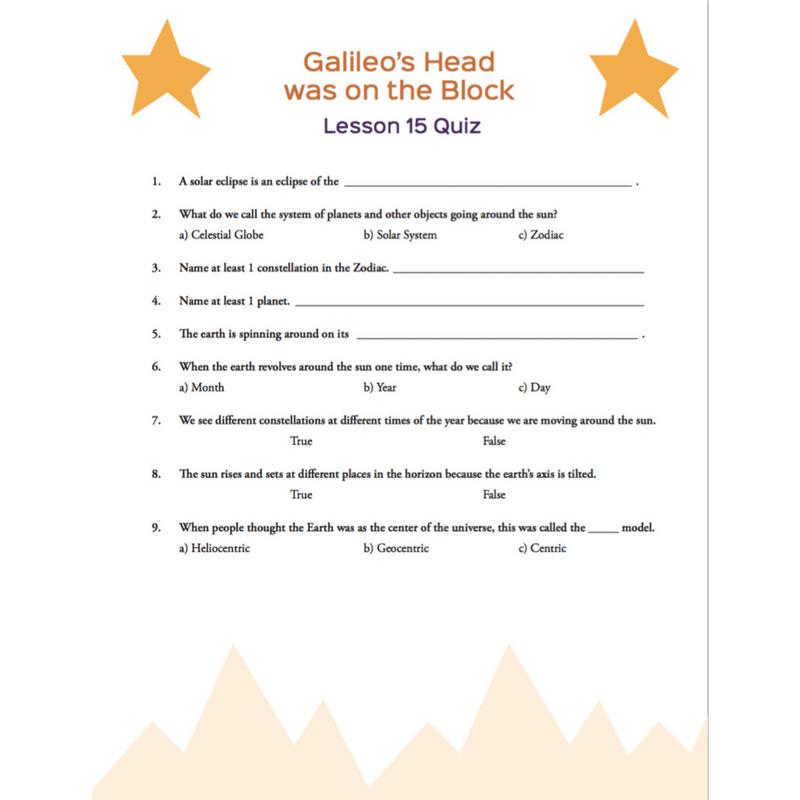 The books mentioned can be used either as independent reading or read-alouds, based on the parent’s preference and the student’s ability. 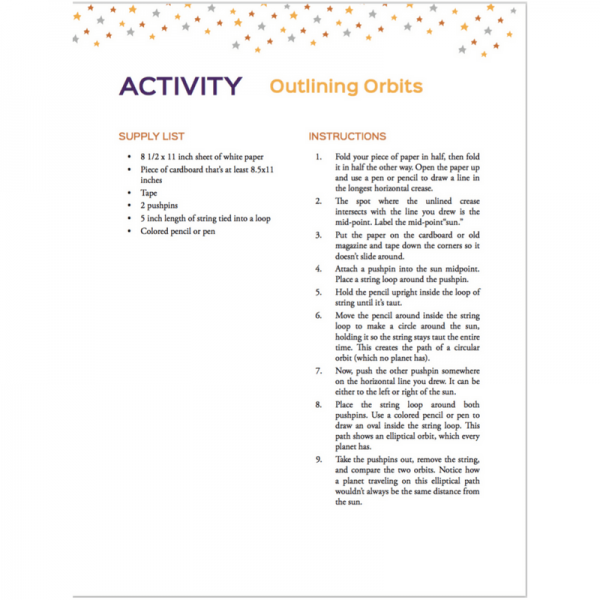 Hands-on activities can easily be completed by elementary age children provided some parent supervision and assistance. This is a 228 page full-color spiral-bound book.